William James Aylward was a student of the great American illustrator Howard Pyle, and carried forth Pyles’ masterful control of tone, color and pictorial drama. Aylward was born in Milwaukee Wisconsin, son of a shipbuilder and Great Lakes ship captain, and had a lifelong fascination with ships and marine subjects, which Pyles’ wonderful pirate ships and sea stories furthered nicely. Pyle used his influence to convince Theodore Roosevelt to allow Aylward to go on a supply ship that was part of the flotilla accompanying a floating dry dock that was being towed from Maryland to the Philippines. During the voyage he painted twenty illustrations for Schribner’s documenting the trip. 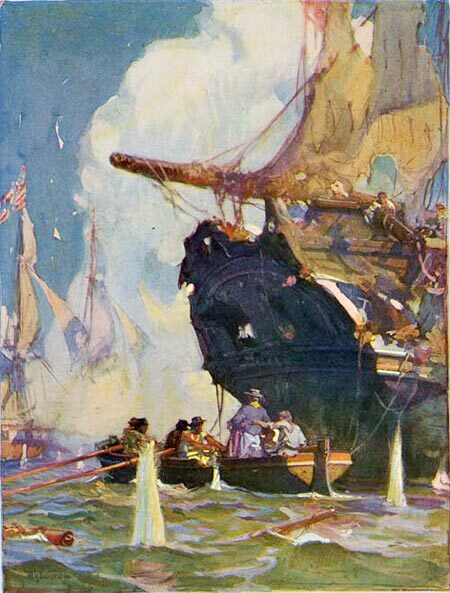 Aylward went on to illustrate many seafaring stories and ship related books, including Jules Verne’s Twenty Thousand Leagues Under the Sea, and sea stories by Joseph Conrad and Jack London. He also illustrated numerous other subjects, and did advertising art as well. Aylward was commissioned as an official war artist (see my post on combat artists, and here) in the Engineer Reserve Corps during World War I. He was a member of the Salmagundi Club and the American Water Color Society, taught at the Pratt Industrial Art School (now Pratt Institute) and wrote a book called Ships and How to Draw Them. There is a great article on Aylward on Paul Giambarba’s 100 Years of Illustration, from which I’ve borrowed the image above, that goes into more detail and has many images (see my post on 100 Years of Illustration and Design), and a nice post from David Apatoff on his blog Illlustration Art in which he perceptively points out the strength of Aylward’s mastery of value. Golden Age Comic Stories has a nice series of articles, accompanied by large illustrations, of Aylward’s work for Twenty Thousand Leagues Under the Sea (even though some of the preview images are missing, click for large versions), as well as illustrations from Scribner’s and The Century Magazine. 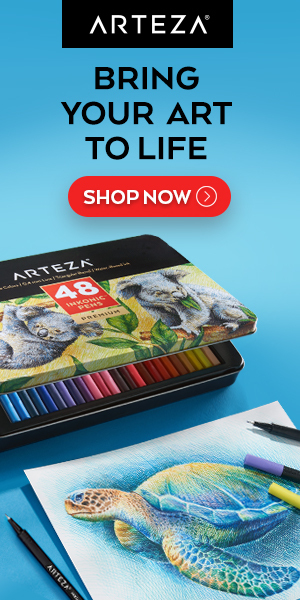 fantastic illustrations, color, value, composition — it’s all there. Always liked his stuff and it’s only recently that I’ve found more of it on the internet superhighways. Any thoughts about best auction house venues for sourcing illustrator art like William Aylward’s?